All Stevenson homes currently listed for sale in Stevenson as of 04/20/2019 are shown below. You can change the search criteria at any time by pressing the 'Change Search' button below. If you have any questions or you would like more information about any Stevenson homes for sale or other Stevenson real estate, please contact us and one of our knowledgeable Stevenson REALTORS® would be pleased to assist you. "Beautiful Gorge estate! Wedding Venue? Air B&B? Tucked away in the heart of the Columbia River Gorge this beauty is centrally located &private. 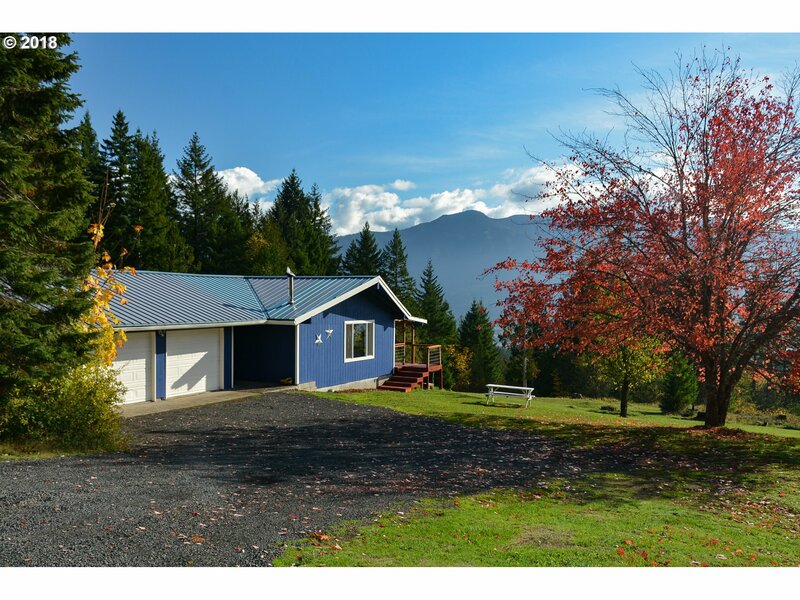 Gorgeous wooded property with almost 4AC of stunning views of Columbia River &mountains. In addition to a great room concept home w/main level Master & gourmet kitchen, lower level has separate catering kitchen, media room & additional 2 non-conform bedrooms w/bath. Exquisite millwork thruout." "A beautiful display of relaxed Contemporary design boasts the perfect mixture of modern lines & rustic PNW flare! This custom home showcases awe-inspiring Gorge views & a private wooded feel; an open concept living, dining & kitchen; stunning rock, wood and natural finishes throughout; a large, main level, master suite; lower level family room, covered front & back decks and an attached garage. Come home to the Columbia River Gorge!" 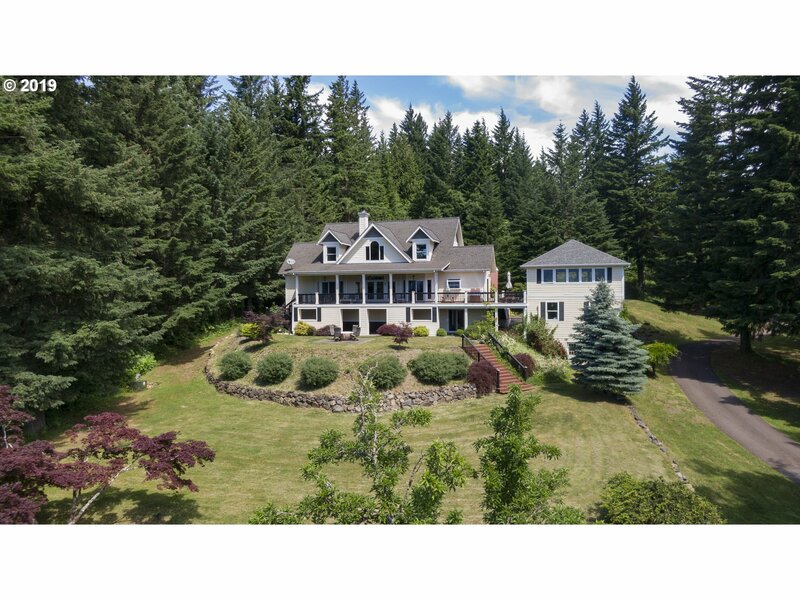 "This Gorgeous home on 5 acres boasts stunning Columbia River Gorge views, a fantastic open floor plan, dreamy master & master bath, all new floors, windows and counter tops. Fresh interior & exterior paint, picturesque covered deck, double attached garage, RV parking & courtyard! Plus, there is an additional 1 Bed/ 1 Bath building. (Currently Rented $1,200 / Mo) You will need to experience this one for yourself!" 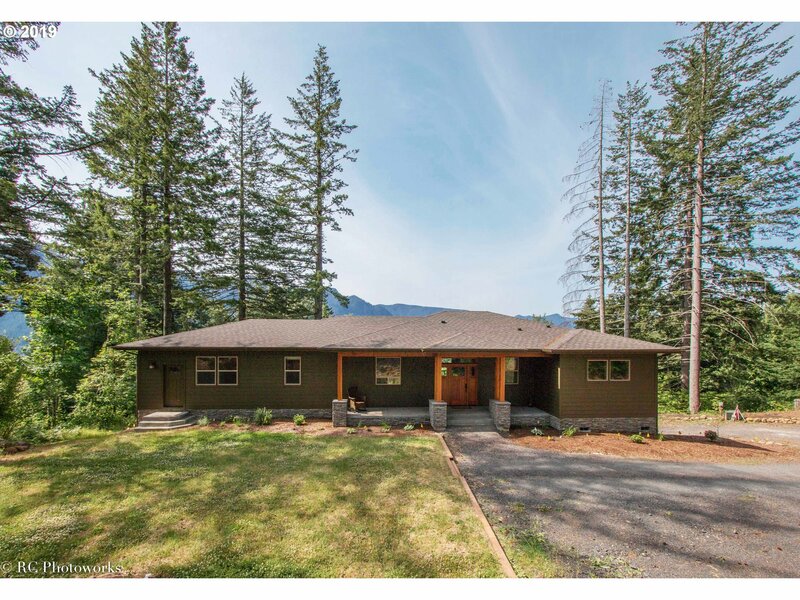 "Tastefully remodeled Lake front home in desirable Skamania Landing. Oversized windows bring in the sunshine and allow for unobstructed views of the lake and mountains. Designed with outdoor living in mind, this double lot offers a private dock, large covered patio, firepit, garden area with raised beds and your own private dock!3 bay(1200) garage/shop with 1/2 bath. The community offers a boat dock on the Columbia River plus parks." "Look no further for your Pacific Northwest retreat! 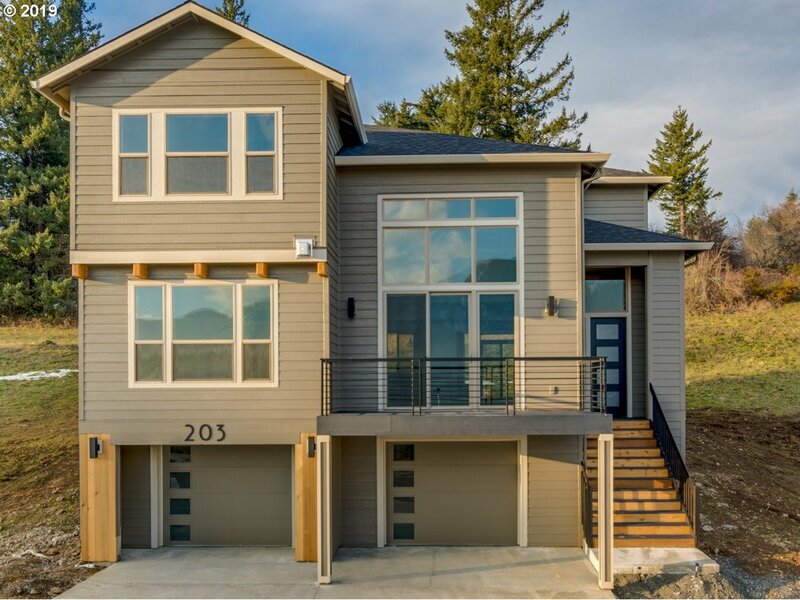 Perfectly appointed with a forever unobstructed view of the Columbia River, Bridge of the Gods, and mountainside! This custom home offers an abundance of natural light with high ceilings and large windows, quality stainless steel appliances, quartz, fully tiled bathrooms and free-standing tub in the Master Suite. Enjoy a NW Contemporary home nestled in quaint and friendly Stevenson!" "2004,Skyline triple wide manufactured home w/approximately 2184 SF sitting on .51 acre in the Angel Heights neighborhood. 3BR,2 bath, spacious living rm w/gas burning stove & lots of west facing light.Large kitchen w/breakfast bar,maple cabinets & walk in pantry.Office with built ins & french doors.Master BR w/WIC & master bath w/double sinks & lg shower.Hall bath features deep tub/shower. Laundry rm leads to attached 2 car garage." "Hit the Budget Bullseye! Enjoy high school sporting events off your covered deck from this 4 bedroom, 1 bath, 1 story home. Newer comp roof and updated vinyl windows, free standing pellet stove for heating. 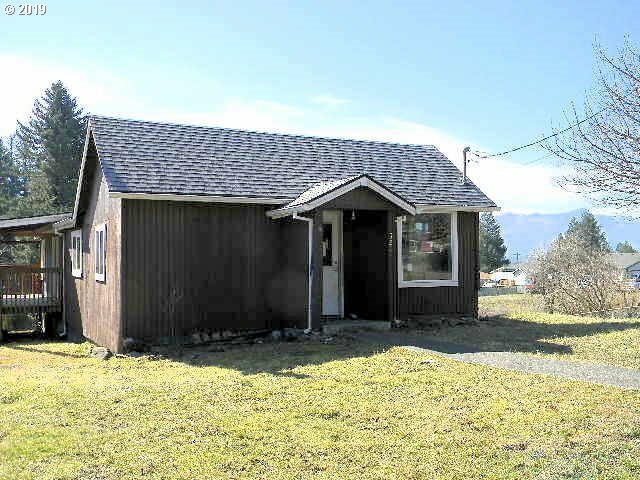 Small detached out building for storage with carport, gently sloped fenced .4 acres, zoned R1, may be dividable, check with City of Stevenson. AS IS Only. Bargain for the bucks EZ 2 Show. Call your agent today before it's to late"